We open Episode #243 of the NLSC Podcast with an amusing bit of trivia, as it seems we're bigger fans of The Playground than Ronnie 2K! As mentioned earlier in the week, our official Wishlists for NBA Live 19 and NBA 2K19 have been submitted to EA Sports and Visual Concepts respectively. Since the topics are still open for discussion, we once again touch on what we'd like to see from the upcoming games in both series. Saber Interactive are partnering with Jack Daniel's for an NBA Playgrounds promotion. While it's put the game back into the spotlight, it feels like Saber has missed a lot of opportunities with last year's arcade hoops title. Whether you want to say that they've tipped off or kicked off, the 2018 NBA Playoffs are underway! We give our thoughts on the first four games of this year's postseason, and offer up our predictions for the first round as a whole. Episode #245 of the NLSC Podcast is out now! Join Kenny and I as we catch up on an eventful week of basketball gaming news, discuss what we've been doing on the virtual hardwood, and give our thoughts on the first week of the 2018 NBA Playoffs. EA's chief design officer Patrick Söderlund recently spoke out about the company's reputation, and their intent to rehabilitate their image in the wake of the Star Wars: Battlefront 2 controversy. We discuss how continuing to adopt a consumer-friendly model with NBA Live will surely benefit the brand moving forward. A deal has been struck to broadcast the NBA 2K League exclusively on Twitch, which certainly seems like a good fit. Once again, we consider the League's potential impact on the rest of us as we look ahead to NBA 2K19. Saber Interactive has announced NBA Playgrounds 2 for a Summer 2018 release. We're excited and hopeful for the sequel, but there are some key areas where it must show improvement. Our Week in Basketball Gaming included taking on more challenges in NBA Live 18's Ultimate Team, and a return to NBA 2K17. NLSC GrindTime may have also played its last session of 2K Pro-Am, at least for a while. We wrap up Episode #245 of the NLSC Podcast with some discussion of real basketball, including Andrew Bogut heading home to play in the NBL, the first week of the 2018 NBA Playoffs, and Ben Simmons' Rookie of the Year credentials. Episode #246 of the NLSC Podcast is out now! Join Arcane and I as we talk about content updates for NBA Live 18, NBA 2K developers soliciting feedback on Twitter, questions regarding NBA Playgrounds 2's release date, and more, including another week in basketball gaming and the 2018 NBA Playoffs. A new roster has come through for NBA Live 18, and while it's welcome, it also highlights how the official updates need to improve. Some of the new content in Ultimate Team has also sparked controversy among NBA Live gamers, though it's not necessarily a bad thing. Beluba has been soliciting feedback for NBA 2K19 through Twitter polls. We're pleased to see those efforts, though the voting has been a little surprising so far. Pre-order information for NBA Playgrounds 2 mentions a May release. As we note, that isn't Summer anywhere on Earth. Our Week in Basketball Gaming has centred on NBA Live 18, as we take a momentary break from NBA 2K18. Instead of MyCAREER and 2K Pro-Am, it's all about The One and Ultimate Team for us right now. We wrap up Episode #246 of the NLSC Podcast with our usual chat about real basketball, including the ongoing 2018 NBA Playoffs and LeBron James' future. FIFA 18 will be receiving free downloadable content for the World Cup, which gives us ideas for future NBA Live games. In fact, there's quite a few things NBA Live could borrow from its EA Sports brethren. Play has begun in the NBA 2K League, with the inaugural tip-off tournament now complete. We offer up a few impressions of what we've seen so far. In order to make the Wall of Fame in NBA 2K19, you'll need to reach 99 Overall by May 31st. For some of us, that's simply going to be too much grinding. NBA Playgrounds 2 is coming out May 22nd, as revealed by the new gameplay trailer. We're feeling optimistic about the game, but we do have some specific hopes and expectations. Our Week in Basketball Gaming included an unlikely return to 2K Pro-Am; it didn't go so well. A seven game series of 2v2 on MyCOURT was a lot more fun, though. We also talk Ultimate Team in NBA Live 18, and Basketball Classics on Steam. We wrap up Episode #248 of the NLSC Podcast with a preview of the 2018 NBA Conference Finals, and predictions for this year's award winners. Episode #249 of the NLSC Podcast is out now! Join Arcane and I for a discussion of the past week in basketball and basketball gaming, including a new executive producer for NBA Live, the delay of NBA Playgrounds 2, the 2018 Conference Finals, and what we've been playing. Seann Graddy is the new executive producer of the NBA Live series, with Sean O'Brien moving on to a new role at EA Sports. What does this mean for the series moving forward? Viewership numbers for the NBA 2K League continue to dwindle. Is the League a flop - or on the way to being one - and what is it doing wrong? Our Week in Basketball Gaming included more Ultimate Team challenges, LIVE Run, and some bargain retro game pick-ups. There's also been a noteworthy development in the modding community. Definitely felt like a good episode as we were recording it. Hope everyone enjoys it! Episode #250 of the NLSC Podcast is out now! Join Arcane and I for another milestone episode, in which we have quite a few news stories to cover (and it's not even the preview season yet!). We also have a few tales from our past week in basketball gaming, and thoughts on the Conference Finals. A teaser for EA Play has confirmed NBA Live 19 - just in case there was any doubt - and tipped off the speculation as to who will be appearing on the cover this year. Game Informer has posted an article providing us with some hints at the direction of NBA Live. While it's not much to go on, it is still promising to hear. A Memphis-based ESPN station took a few shots at NBA Live 18. A little awkward, given ESPN's exclusive deal with EA Sports. The latest Game of Zones episode made fun of NBA 2K18 and Ronnie 2K. Their response was admirable, but gamers weren't letting them off that easy. From Virtual Coppers to Virtual Currency, 2K's promotion of the latest VC sale was a little on the nose. It seems Shaquille O'Neal and Kareem Abdul-Jabbar have done some mo-cap work for NBA 2K19. We discuss what that might mean for this year's game. PlayStation 4 users have received refunds for NBA Playgrounds 2. While it might just be a mandatory show of goodwill, it's not a great look for the delayed title. Episode #251 of the NLSC Podcast is out now! Join Arcane and I as we follow up on some more snippets about NBA Live's future, and discuss a couple of topics suggested by listeners. We also catch up on what we've been doing on the virtual hardwood, and talk about the 2018 NBA Finals. A recent Polygon article has gone into a little more detail about the future of NBA Live, with additional quotes from Seann Graddy. We discuss what he might have meant when talking about the goal of appealing to a "new, younger demographic". Is it likely that we'll ever see a Free-to-Play basketball game, similar to Fortnite? The 20th Anniversary Edition of NBA 2K19 has been announced, along with its cover player, LeBron James. Unfortunately, there's a distinct lack of goodwill in the approach this year. NBA 2K18 has received one last official patch. However, in lieu of any patch notes, it seems that all it's done is add a pre-order link for NBA 2K19. Episode #253 of the NLSC Podcast is out now! Join Arcane and I as we react to the gameplay videos, impressions, and other tidbits of information about NBA Live 19 that have come out of EA Play 2018. We also touch on a rumour that's making the rounds, and once again discuss some of our hopes for this year's game from EA Sports. Following EA Play 2018, the attendees have been sharing raw gameplay videos. They've provided us with an extended work-in-progress look at NBA Live 19, as have a few screenshots. Although we're not expecting to see too many deep dive developer blogs just yet, the devs at EA Play managed to drop some more tidbits through interviews with content creators. Rumours are swirling of a PC release for NBA Live 19. We'd love to believe it, but given the listing on the official website, we're not getting our hopes up just yet. The developer blog regarding Franchise mode in Madden 19 has us feeling a little envious. We wrap up Episode #253 of the NLSC Podcast by reiterating a few thoughts on what we'd like to see in NBA Live 19. 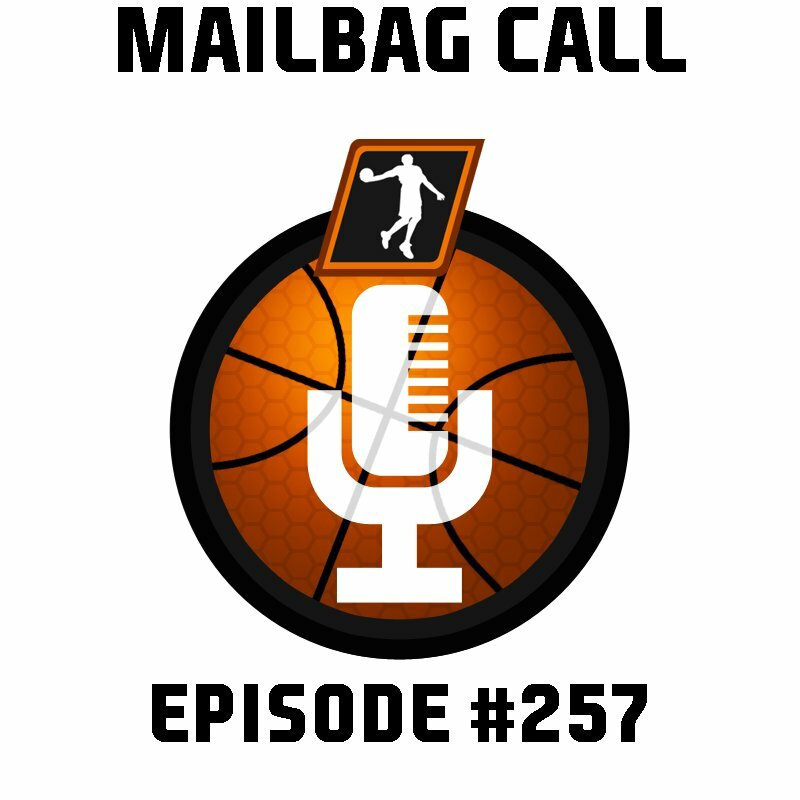 It's the quiet before the storm as far as the NBA Live 19 and NBA 2K19 preview season is concerned, so we've got room on the docket for topic suggestions and mailbag questions for Episode #254 of the NLSC Podcast. Hit us up! Episode #254 of the NLSC Podcast is out now! 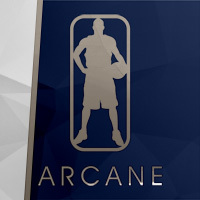 Join Arcane and myself as we discuss the cover leak for the Standard Edition of NBA 2K19, the situation with NBA Playgrounds 2, and our plans for this year's games. Our Week in Basketball Gaming also returns, along with some other fun topics. NBA Playgrounds 2 was indefinitely postponed a month ago, and we still haven't heard anything further. Is there any big announcement that could feasibly make up for the lack of hype? What are our plans for NBA Live 19 and NBA 2K19 when they're released in September? We reflect once again on our own history with modding, and why we don't mod as much as we used to. We're not shutting the door on the idea, though. Episode #255 of the NLSC Podcast is out now! Join Arcane, special guest Clueminati, and I as we discuss the cover reveal and pre-orders for NBA Live 19, the new EA Madrid studio, Strauss Zelnick's comments on microtransactions, and another week in basketball gaming. The cover player for NBA Live 19 has been announced, and as strongly hinted by the reveal trailer, it's Joel Embiid. All in all, it seems like appropriate branding. EA has opened a new studio in Madrid. It will collaborate with EA Tiburon on the development of NBA Live, similar to how FIFA's development is undertaken by three of EA's studios. Take-Two CEO Strauss Zelnick commented on the backlash to microtransactions in NBA 2K18. Unfortunately, his words don't inspire much confidence. Episode #256 of the NLSC Podcast is out now! Join Arcane and I as we chat about the past week in basketball gaming and NBA news. Topics include the latest NBA Live 19 previews, the NBA 2K19 cover reveals, allegations and speculation about 2K's business practice, and big offseason moves. A recent video discusses an allegedly since-deleted Reddit post, purported to contain damning leaks from an ex-2K employee regarding the company's business practices. While the claims are unconfirmed and the video quite possibly unsubstantiated clickbait, the alleged explanations for certain design choices are eerily plausible. Question for the show: What are your thoughts on adopting an NBA team as a new fan? For example, I have no geographical ties to any teams, and my family/friends don't watch the NBA. I grew up watching the NBA in the '00s, and my favorite players are retiring by the minute, so my interest in the NBA has declined. I think it would help (and would be fun) to have a team to follow and root for, but I'm not sure if I could ever develop a genuine passion for them. 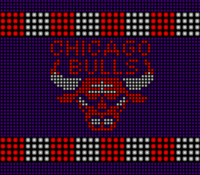 Breems wrote: Question for the show: What are your thoughts on adopting an NBA team as a new fan? The way I look at it is, if you don't favor a team, you must favor a player. It may not be your "Favorite of all-time", but a player that stands out for you. For example, my best friend growing up was a huge Vince Carter fan, but he didn't have an NBA team. However (This is when he was with the Raptors), he latched onto Vince and his Raptors teammates, and wanted Vince to win so bad that he also wanted the Raptors to win as bad. So say, you like how the Greek Freak carries himself on and off the floor, you like his game, etc. Follow him and cheer hard for the Bucks, because you want to see him succeed. Guarantee you will also start caring about the other Bucks players, coaching staff, and ownership (As they are pivotal to Giannis and his success). That would be the route I would go. If you can't pick a player on the spot, start researching what these dudes do off the court, how active they are on in the community, what charitable causes they are a part of. If you find someone who stands out in that aspect, and you also like that players game, go for it. In regards to no geographical preference, you don't like a city more than another city? That's a tough one to get around, which is why I would still go the favorite player route. Also, it's cool to just love the NBA as a whole and not have a favorite. But having a team to cheer for/buy merchandise for/represent etc is pretty fun. I'll add it to the docket, and save my full answer for the show. Those are good ideas, thanks! Regarding geography, I just meant that the NBA isn't very popular where I live in Arkansas. Until OKC came along, Memphis was probably the default choice. We didn't record a new episode of the NLSC Podcast last week, due to a combination of travel and a fairly quiet week in terms of basketball gaming news. We should be back this week to catch up on everything, but if you have any topic suggestions/mailbag questions, hit us up! In case you missed the previous week's episode, tune in here! Our full archive can also be found here. A new NBA Live 19 trailer spotlighting the authentic courts from around the globe has been released. It's given us a further glimpse of the gameplay and confirmed Allen Iverson as a member of the NBA Live Squad, but we would like some more NBA-oriented previews. Charles Barkley has reiterated his stance on appearing in NBA 2K, leaving us to wonder why Take Two still isn't taking him up on his offer. Good episode. Appreciate the thoughts on my question. I think I've landed on the Charlotte Hornets as my new team of interest now that they have 2 of my all-time favorite PGs in Walker and Parker. Also, as an Arkansas fan, I'm well-acquainted with all the UK players. Hopping on the bandwagon at this point also protects me from any accusations of being a fair-weather fan. I'll also always have a passing interest in the Bulls as long as Portis is there. One of the greatest Hogs of all time. Sounds like a good choice. I love their branding, too!